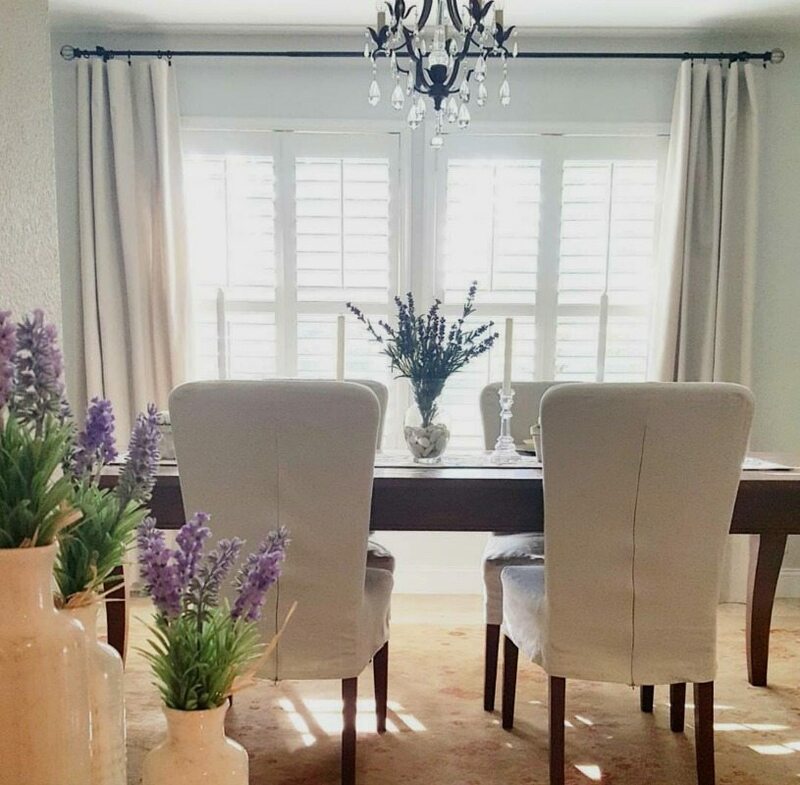 In this DIY post I’m going to show you how to make No-Sew Drop Cloth Curtains that are easy, inexpensive and shockingly beautiful, especially if you want a neutral, finished look to your windows. Curtains are ALWAYS a great idea, but this is a great project if you want to dramatically change or impact the look of your room on a budget! For about $10 per panel, $20 per window, plus hardware (mine was about $15 per window from Ikea) you can have new curtains!! And the best news? You don’t even need to sew!! 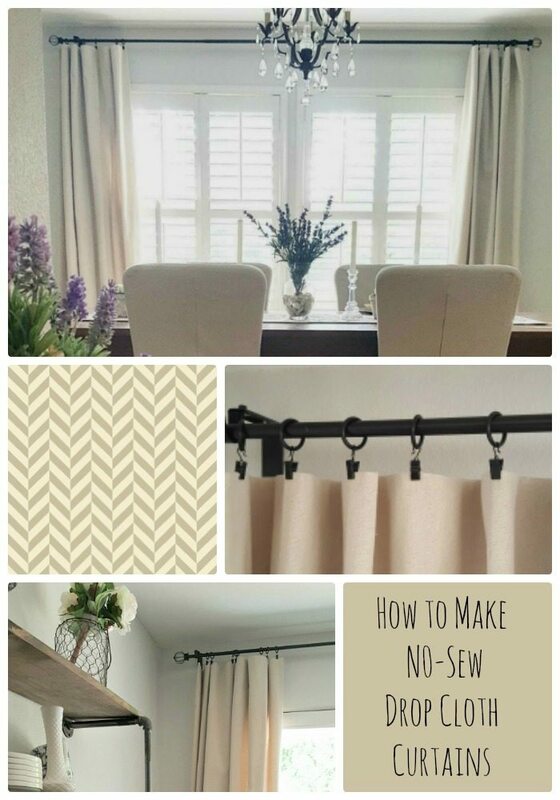 Read these simple steps and I’ll show you how to make no-sew drop cloth curtains! I have provided a few affiliate links for your shopping convenience. Simply click on the photos to be taken to shop/purchase options. These links add no cost to you and help us pay for this blog. Thanks so much for your support. Love this reliable drill and perfect size set…everything you need and nothing you don’t. Ok, so you’ve gathered all of your materials and tools and you’re ready to start. I hope you have a good movie or TV series you can watch because you are going to spend most of your time with this first step. Step 1. Iron your drop cloth panels. Ugh! I really hate to iron! I focused on the end result and made it through! Then lay them out carefully so they don’t wrinkle. Next, you’ll need to measure your window and determine how long you want your panel. Note: To make your room appear bigger and your ceilings higher, hang your curtains above your windows closer to the ceiling. Step 3: Hem your panels. You will want to fold over the top edge at least 3 inches or so for a hem. Iron this hem. Once this hem is ironed, bring the panel back down and lay on the floor so you can hem using the glue gun. If you are using regular hot glue like I did you will want to use the smallest amount possible to minimize any visible glue seeping through and creating a mark on the other side. I used just a small dab every 5-8”. That was plenty to secure the hem without any problems. The bottom hem is more critical because this has to be carefully measured to create the length of panel that you want for your window. I had a lot of trial and error with getting my measurements accurate and ended up with my first couple of panels much shorter than I wanted. Luckily I had plenty of practice to get it right. Note: You may notice that the drop cloth panels are not always cut square and level on each edge so you will need to measure from top to bottom, not just from the hemming edge. Step 4: Attach your hanging clips. I used about 8 clips per panel spaced approximately 10″ apart. Note: They come in packs of 10 so you may want to space them closer just so you can use of the clips. Step 5: Hang your panels. You have already decided the height of your panels. Now you need to determine how close you want to hang your curtains in relation to the actual window. 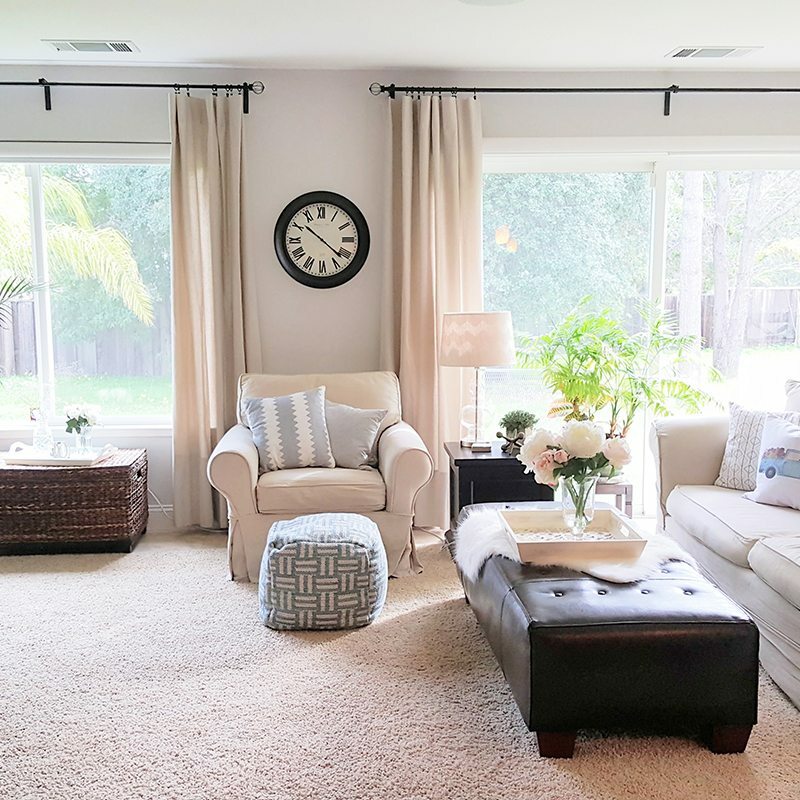 Note: If you have space you may want to hang your curtains further outside the window so the panels can hang and not block the actual window. Also to consider at this moment is how functional you want your panels to be. Do you need to be able to close them in order to block light or create privacy? I have blinds on all my windows already so my curtains were solely for decor. First, double check the height of the curtains before marking the height on the wall. Then mark the horizontal spot so you know where you will be attaching your brackets. For this step I used an electric drill and electric screw driver. Note: Here’s where you can learn from my mistake! If you are hanging your rod close to the wall, don’t forget to leave room for your finials. These will be going on the outside of your brackets. There you go! 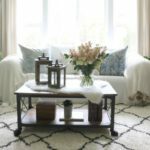 Now you too know how to make easy no-sew drop cloth curtains! These curtains TOTALLY transformed our home. Once I completed the “wall-o’curtains” as I affectionately refer to it, I just kept on going! I started with the wall in our great room which connects to the kitchen and our main living space. Because you can even see it from the front hall when you walk in the house it really changed the whole living space! My husband was so excited (with the look and the huge “bang for your buck”) that he gladly ok’d additional windows. From there I headed to the dining room. And then the 2nd living room. I still have the guest bedroom and the master bedroom to go….so stay tuned! 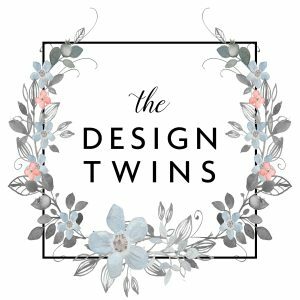 Be sure to check out our other DIY projects and budget decorating tips for more easy and inexpensive ways to update your home! How to fall in love with chalk painting…it’s easier than you think! 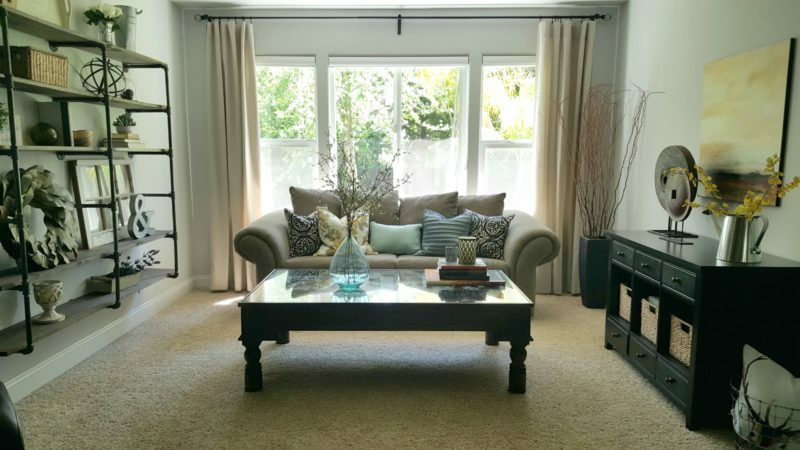 Make No-Sew Drop Cloth Curtains in 5 simple steps to transform your home and save money! Make over your windows for just $10 per panel. Weeeell!! I did enjoyed reading this post !!! ❤️ And im so ready for the MARCH MADNESS!!!!! ???? This is exciting!!!!!!!!!!!! So happy to see you over here! Thanks for taking the time to come and say Hi! You sound as excited as we are! haha! Hi! 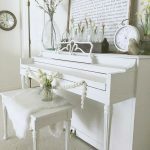 Just read the article on making drapes out of drop cloths …….I just might try this! Yours look great. As always, spring is an inspiring time for new projects Time for some March Madness ???? 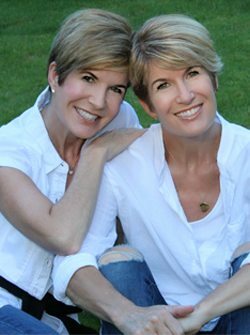 Staying within your budget is a must and I think it helps us become creative and think outside of the box. The farmhouse style that is in right now is based of off such a simple and inexpensive era which I think is why it is also so popular. Clean, crisp, inexpensive, and brings back so many wonderful memories of being young. You nailed it with these curtains. Thanks for sharing! Read this a week ago and did some drop cloth curtains, I was inspired by the blog which is a first for me! Thank you for the inspiration, I’ve seen plenty of the tutorials but after reading your blog I finally tried it. March Madness may have taken over. Happy Saturday! Thank you for sharing this neat and inexpensive way to make curtains!!! I may just try to make the curtains this week. You two continue to amaze me with your talents!! Intrigued by the idea of these ‘curtains’. Thinking of experimenting with color:: painting, dye or even a simple stencil design. Have you tried any of these on this fabric? . May have to do some trials on old, actual drop cloths including washing them. Thanks for the great tips, I appreciate your creativity. I think its important to wash them first. The result will be less stiff and more of a linen look. You can still iron but these come with such a stiff finish, I can see why you struggled with ironing. Also, once hung if you want them to either ” puddle” meaning gather a bit on the floor or hang directly to your desired length, washing all the stiffness out first gives them that expensive “Restoration Hardware” look for the budget challenged. Not sure how I missed this but I was planning on making some of these for my patio. 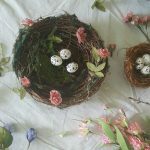 I had an idea of how I was going to make them but now, thanks to you guys, I now have everything I need to know right here on your blog. Thanks!!! ???? Love the finished results, your home is so beautiful! I really want to make drop sheet drapes but apparently the package sometimes contains sheets with seams – did you have any issues with this, and where did you get your supplies from (drop sheets, finials)? Is there any reason you didn’t go with hemming tape? Thanks for the inspiration! I’m so sorry I missed your question! Let me try to answer! I bought my drop cloths from Home Depot. I can’t remember the exact brand but if there was a Home Depot brand it might have been that. I didn’t have any trouble with seams. 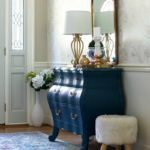 I believe I listed all the supplies in the blog post including the hardware and finials which I purchased from Ikea. I tried hemming tape but it did not stick. I think the material was too course and/or too heavy. Can you make them into ripplepleat? It would seem that using a hot glue gun would make them unwashable? Why not iron on tape / seam binding? Does the glue actually hold up? I love the idea of not having to sew! Looks quite easy to do. I love diy projects. Just love this idea and wonder if it is a bit of a blackout at all. I would love to do this is my son’s room but he needs it to be totally dark. I sure have enough canvas around so that isn’t a problem and I just love that I could make them custom for him. Love this idea! It’s the answer to dividing my laundry room from kitchen. So ready to try it! Would love the links for purchasing the canvas or curtain rings with clips. These are not visible on this site. what weight of the dropcloth did you get: Home depot has “medium” weight, “Heavy” weight, and 8 oz.